We are seeking a Distillery Operator to join our friendly Isle of Raasay Distillery team. Closing date for applications is 12th April 2019. To assist in the production, casking, warehousing and bottling of spirit. 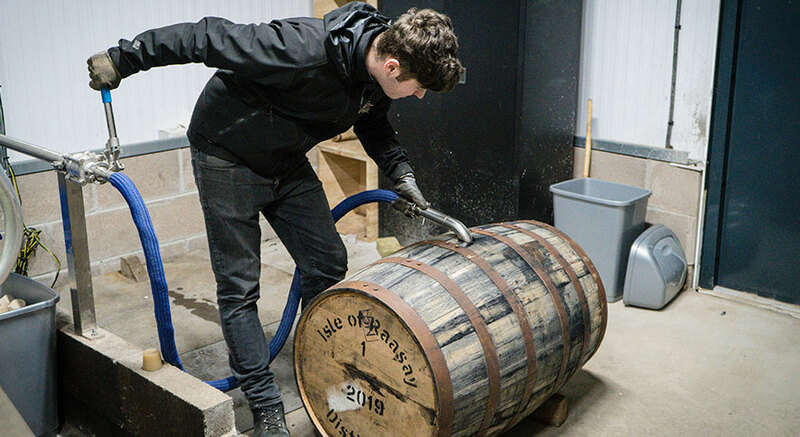 Raasay Distillery has been producing spirit since September 2017 and is in the process of expanding maturation and bottling facilities. Consequently, this has created an opportunity for the right candidate to join our production team. The role will encompass production of spirit in our modern facility as well as cask filling, warehousing and bottling. We currently operate a shift pattern of 6:00am–2:00pm and 2:00pm-10:00pm with occasional weekend shifts for routine maintenance. All training will be provided but a demonstrable track record of developing new skills would be advantageous. Raasay Distillery is a growing business with many exciting opportunities in the coming years for staff to develop and progress. Please apply in writing by email to Norman Gillies at: norman.gillies@raasaydistillery.com or by completing the form below.